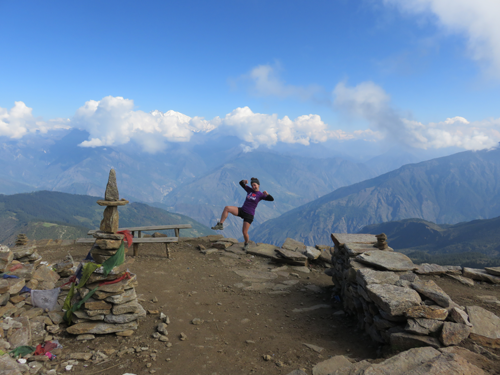 An intense journey: trekking to Langtang…. 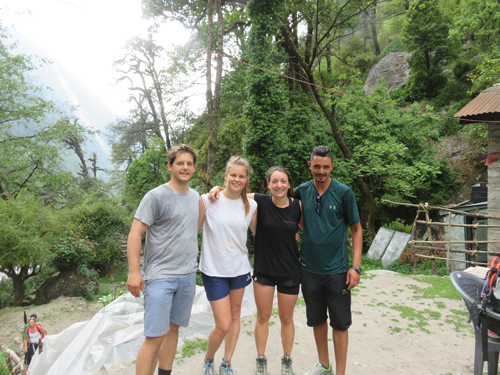 Charlotte shares with us her experience of a trek in Langtang, the Himalayan region that has suffered from the earthquake but is now coming back to life. 160 km. 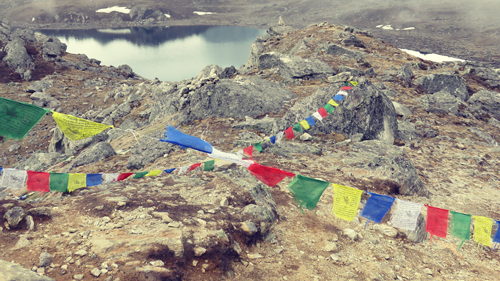 9 full days of trekking. 4600m altitude. 27 litres of water drunk. Probably as much was sweated. And thousands of stars. 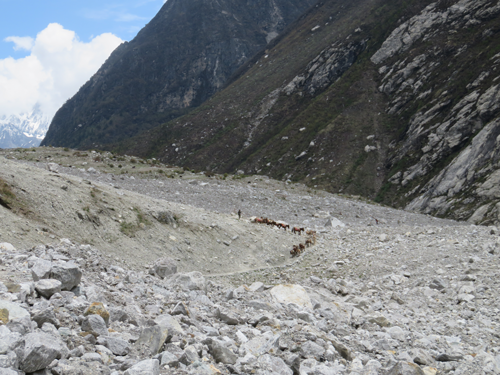 Kyanjing Gompa: the final push before we reach the village where we will end our day. Eight hours of walking, eight hours of putting one foot in front of the other, sometimes alone with our thoughts, sometimes laughing or rebuilding the world through animated discussions. 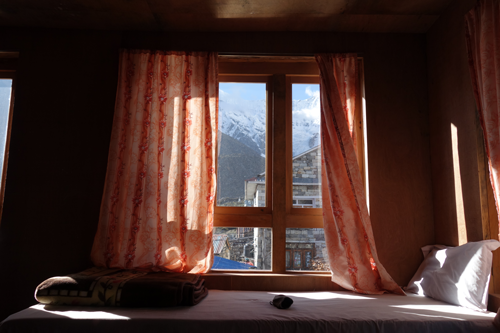 And all the time, contemplating the beauty of the Himalayan peaks. 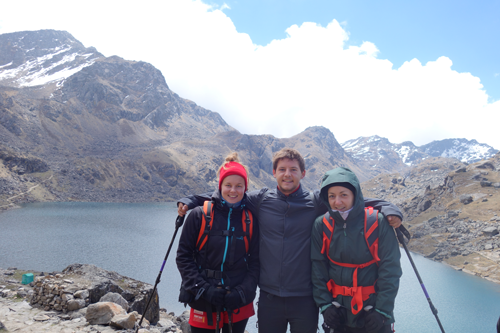 By 4pm we are arrived at the lodge, nestled at 3900m high, in the middle of glaciers and snowy peaks. The last of the day’s light is heating the rooms and the Valley. The night is falling faster – faster than the iced water that we use for our shower! But soon enough we’ve warmed up with our dry clothes, and the wonderful comfort of the lodge. Trekkers are settling down around the stove in the lodge’s main room, keeping warm and sharing smiles. The wood, the warmth, the candles and cushions are create such a cosy atmosphere here. It’s as if time just stops – we read books, we write, we play cards or chess, keeping our feet warm with thick, woolly socks. The ones that have managed to stay awake share stories about where they’ve come from and where they’re heading to next. We also share silence, thinking about our day, thinking about what is next to come. The smells from the kitchen become stronger and stronger, until our tummies begin grumbling and our mouths salivating. In lodges, all kitchens are organised the same way: steel pans, plates, bowls and cups lay side by side on a wooden cupboard. The stove is in the middle of the room, where Tibetan bread is cooked. The lodge managers, more often than not a couple, are busy preparing meals for their hungry guests. They are used to welcoming trekkers so they know how to make sure they’re comfortable and their belly’s full. Over dinner conversation erupts as the energy levels begin to rise. We share the pain we feel in our muscles, our thoughts about the last few days, telling tales of the paths we walked. Dinner ends with a glass of Tchang, the local rice alcohol that makes you smile and warms you up inside. Cheeks are red and not only from the sun! Our guide Sandeep arrives to take our breakfast order for tomorrow morning. After every dinner, there is this ritual: “So, let’s talk about tomorrow!”. We laugh and I suppose the worry shows on our face as to whether or not tomorrow will be filled with climbing up or down hills. We agree on our wake up time and then we’re all off to bed. It’s only 9pm but we are all ready to call it a day. The sun called it a day several hours ago anyway! 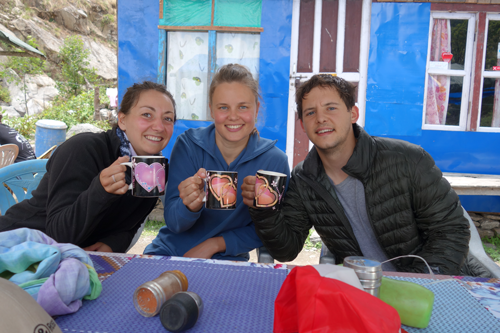 As I lie in bed I think about these amazing memories I am creating in these lodges, sharing moments with the Sherpas and Tamang people. 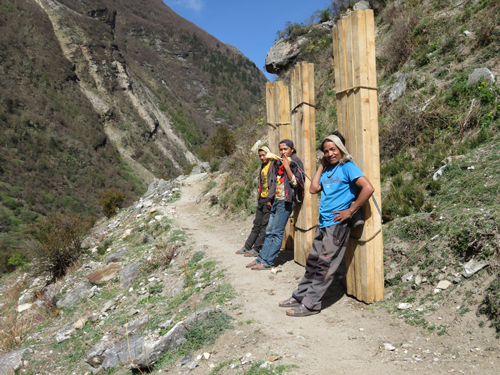 Their honest smiles that welcome trekkers every day who have crossed the world to explore these mountains. I wonder whether they realise the beauty of what’s around them, since they have lived here forever. They know the mountains like the palm of their hand, understanding their power. I wonder if they ever feel as small as I do, tucked away between these snowy peaks. One thing is for sure though, no matter where you have come from, how long you have been here or where you are going, the keyword here is respect.